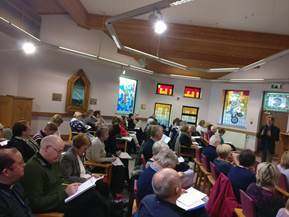 Healthcare Ethics training day: This event was jointly organised by the NIHCA, Belfast Trust Chaplaincy Dept and the HSC Bereavement Coordinators. Approx 65 people from a wide variety of healthcare backgrounds attended the training on Thurs 23rd Nov 2017 at Musgrave Park Hospital, Belfast. 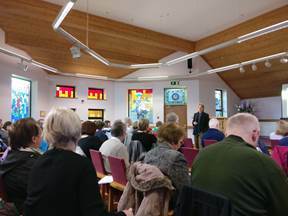 Rev Dr Brendan McCarthy shared from his wide knowledge and experience and gave us much food for thought and ethical tools for practical use.